One of today’s tech deal items is defined as a pack of “essentials” by the manufacturer, but in all honesty, everything listed today we would define as being essential to any growing technology stack. Performant tablets, cheap memory cards with an insane amount of storage, portable power to keep you charged up, and even a gaming console. We have it all! Let’s start off today’s deal with the beautiful and equally powerful Xbox One S Battlefield 1 bundle coming with a $25 discount, and a host of digital goodies. 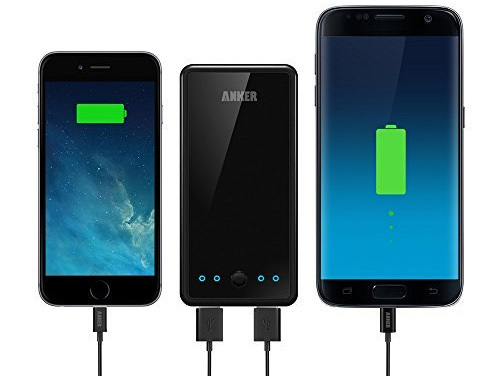 Next up is a 10,000mAh portable battery charger / power bank packed in a compact and slim chassis from Anker for a mere $20. There’s also a high-speed 32GB microSD memory card from Samsung for a mere 10 bucks. Last but not the least, is an Amazon bundle packing the Fire Tablet, a protective case and more – all for discounted price. As always, make sure you act quickly once you have identified the product of your choice from the list here. The deals listed here are time sensitive and subject to stock levels, so what are you waiting for? Enjoy the savings! When you hear or read the word “essentials” used in relation to a product, or bundle of products, you tend to get yourself a little excited. 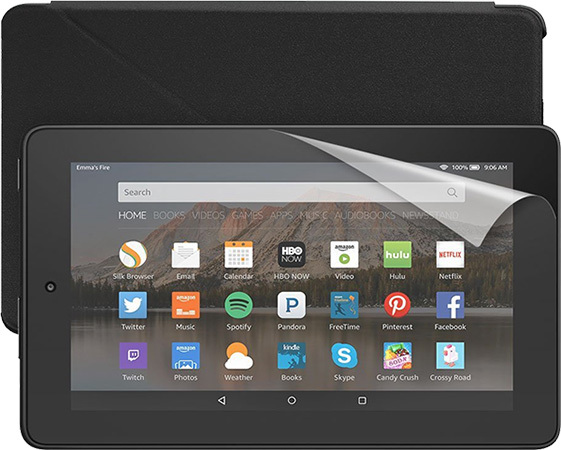 Now, we wouldn’t say Amazon’s Fire Tablet is a must-have essential piece of kit, but nonetheless, it is very handy very capable, very good to have, and extremely well-priced for what it’s actually capable of. 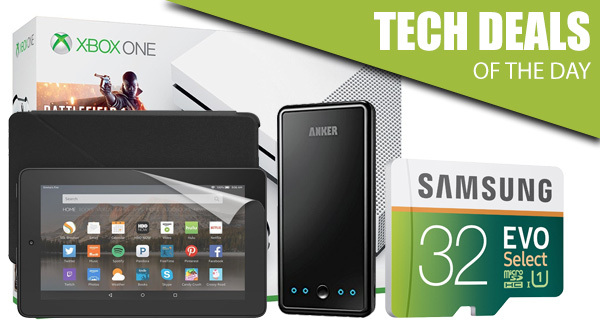 This bundle of essentials comes with one tablet, as well as a NuPro screen protector, and a protective case for the tablet. And you can get it all for only $50 using the following promo code at checkout: FIREBUNDLE. Do you consider Samsung when you’re looking to purchase a new memory card for your Android smartphone or tablet, or even your digital camera? Chances are you go straight for a SanDisk solution or similar. 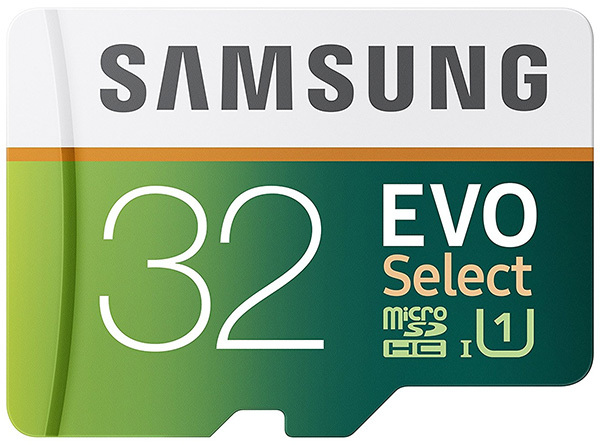 Well, Samsung are in the memory game, and they have produced this 32GB microSD card for use in a variety of devices to store an insane amount of photographs, file, or videos. Best of all, it’s available for just $10 for limited time! You’d be forgiven for thinking this little device was actually a compact smartphone at first glance, albeit a rather chunky one that doesn’t conform to today’s smaller is better standards. It’s not however, it’s actually a compact portable power bank battery with 10,000mAh of juice in the bank, capable of delivering multiple charge cycles to your devices incase you run out of power on the move. It’s really something that should be in everyone’s technological arsenal. Get it for only $20 using the following promo code at checkout: 7CJOQVJJ. Are you an Xbox One S or a PlayStation 4/Slim/Pro kind of person? 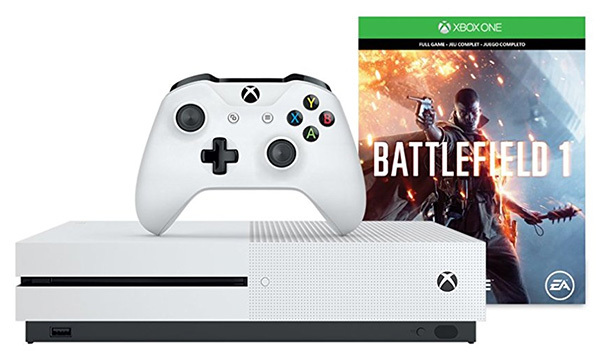 Well, with this deal, which includes an Xbox One S, with a 500GB internal hard drive, and the wonderful Battlefield 1 game included, you really need to become an Xbox individual if you aren’t already. Of course, the bundle also includes an Xbox One Wireless Controller to let you interact with Battlefield 1, as well as countless hours of fun and entertainment, which is something that you really cannot put a monetary value on. 1 month of free EA Access subscription is included as well which will allow you to enjoy game downloads from EA’s library and play them for up to one month. Xbox One S also feature 4K Ultra HD Blu-ray drive, something which even the latest PS4 Pro doesn’t have.